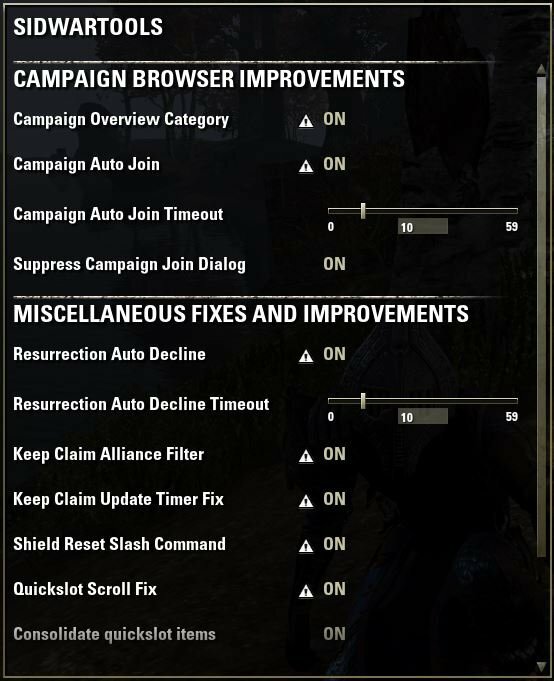 This addon changes some aspects of the combat and pvp related user interface in order to remove some annoyances. Chat messages for when you resurrect someone else are inferred from different sources and may be inaccurate in some situations. Kill assist notifications are not shown when the player dies, but instead when he respawns. They also show up when you killed the player with the last hit and got the kill message already. Keep or resource levels may not show up on the compass in some cases. - added ability links - you can now send abilities to other users of sidWarTools via chat much like item links, just right click on a skill in the skill menu or in the ability bar and select Link To Chat. I'll give it a small update once I finished AGSv1.0. 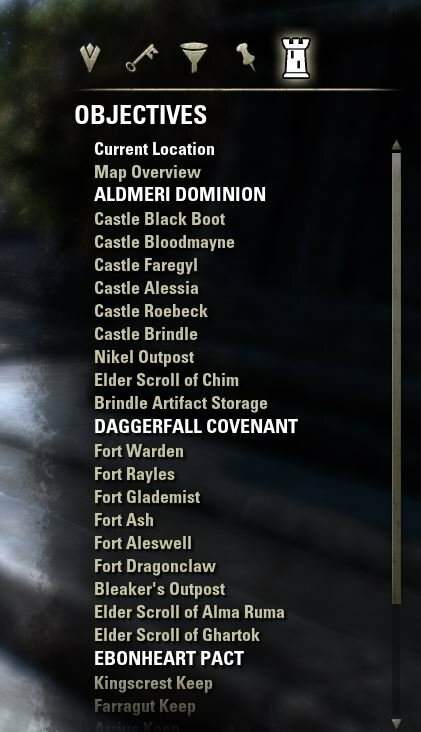 Once I finished the Summerset content, I plan to get back into Cyrodiil. Will update this addon once that happens. Last edited by Marazota : 01/25/19 at 04:46 AM. can you pls set is as default category of UI when i open L? 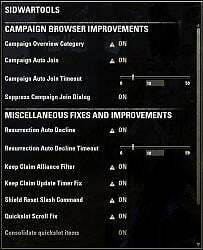 - why when i turn off "resurection auto-decline" i cant change mutation color (vampire/werewolf) ? that was a copy paste error. I'll fix it in the next version. 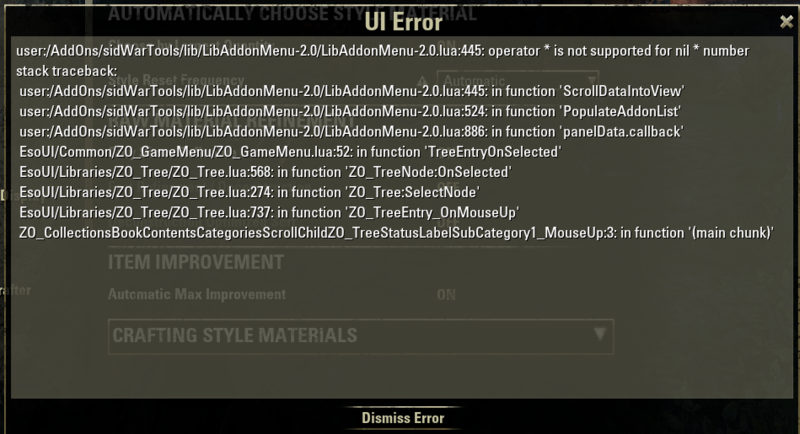 - Its possible to select information in chat ( like i dont want impérial city attack/defense/...) i just want informations from cyrodil map ? - possible to force to keep "english name" cause its more easy if all people have same name of castle. 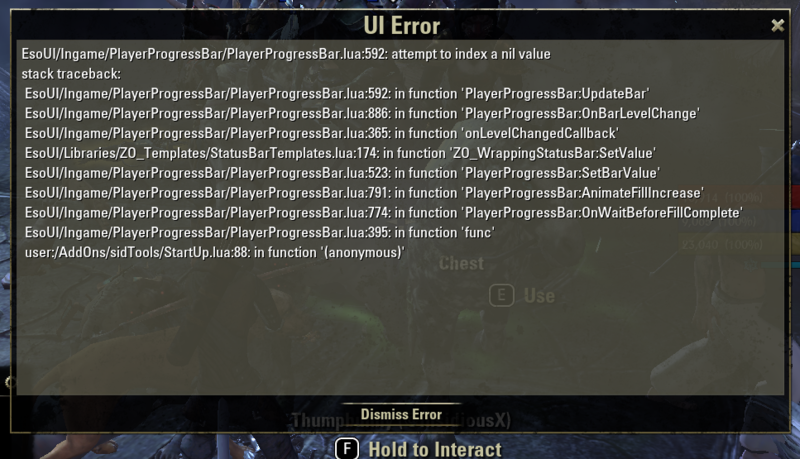 There is already an addon that shows english keep names for all languages? Last edited by NOTHAN : 02/15/18 at 01:52 AM. Try to deactivate the "Shield Reset Slash Command" in the settings. It shouldn't be necessary anymore anyways. Last edited by Marazota : 02/12/18 at 12:01 PM.